January isn't the most fun of months. The weather is cold and the days are dark, pay day seems to take forever to come round after the big spends at Christmas and getting out of bed in the morning can be quite a struggle.We need some pampering and a little TLC! Minxy and I decided to have a pamper session at home. Jamster was invited too of course but said "it's for girls" and continued to play Batman while running around in his costume! We dimmed the lights for a relaxing atmosphere, lit some scented candles and popped on some slow and calming music... my running anthems CD wasn't required for this one. 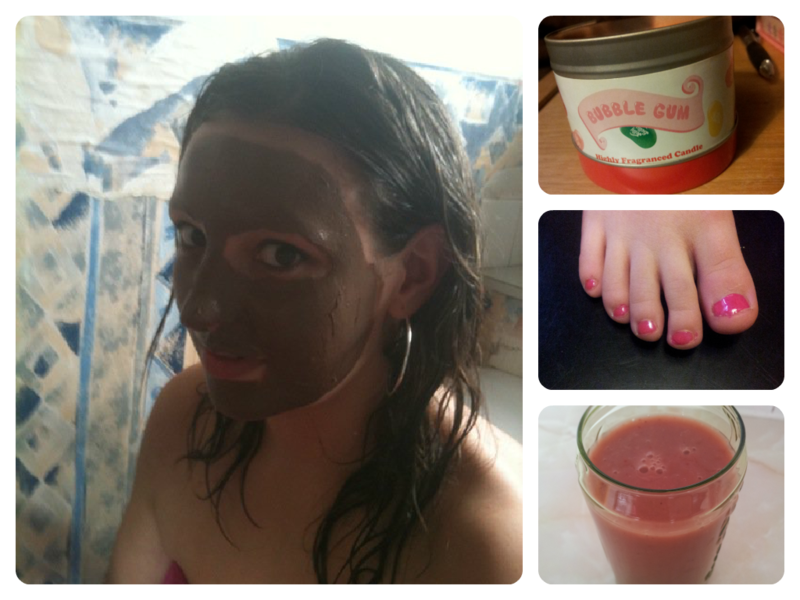 We then had fun putting on face masks, I gave Minxy a hand and foot massage and I painted her nails. We enjoyed some smoothies so our tummy's were feeling just as good too! It was easy to create a spa at home and didn't cost us a penny either. It is a great way to chill out for a few minutes and forget the hassle of work (and apparently stinky boys and homework).